The day and age of liquor bottles on display may be behind us, but I’m really hoping to bring them back. There’s just something so classic about those pretty glass decanters and rocks glasses next to a gorgeous ice bucket on a bar cart. Am I right? Very Mad Men-esque. I love the masculine qualities they evoke and the classy nod they can lend to a gathering! Today’s post, is all about bringing back a classic and updating it with a simple project! 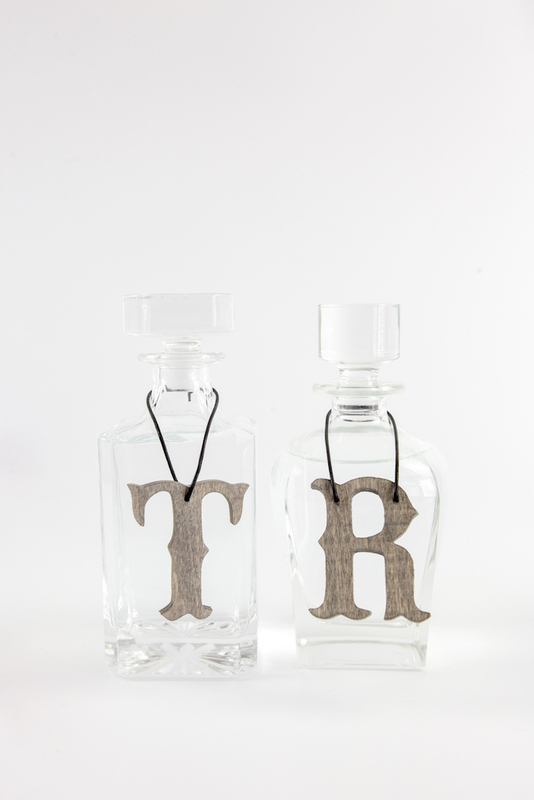 These DIY decanter tags are easy to make, really inexpensive, can be done in an afternoon, and look so sophisticated! A simple and fun way to upgrade an existing bar cart, wet bar, or drink display! 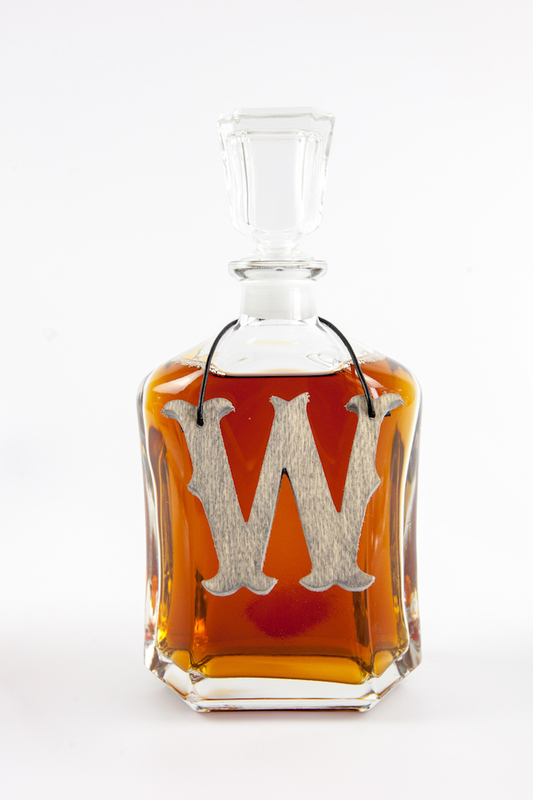 If you don’t have glass decanters already, I love this one, this one, and this one. 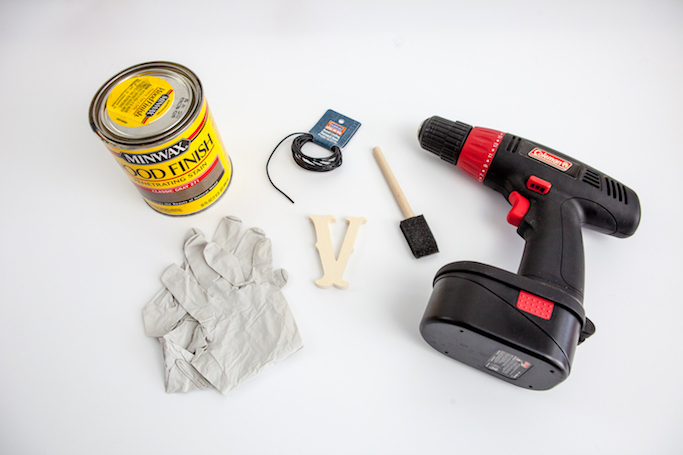 Using a drill and a drill bit, create holes in your wooden letters for the leather chord to fit through. 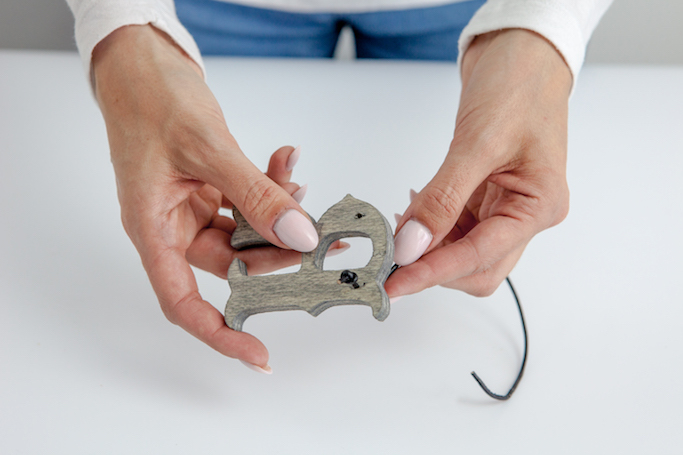 The size of the drill bit will depend on what size of leather chord you will be using. Make sure the chord can fit though the holes, but that the holes aren’t too big that the knotted chord can slip through. 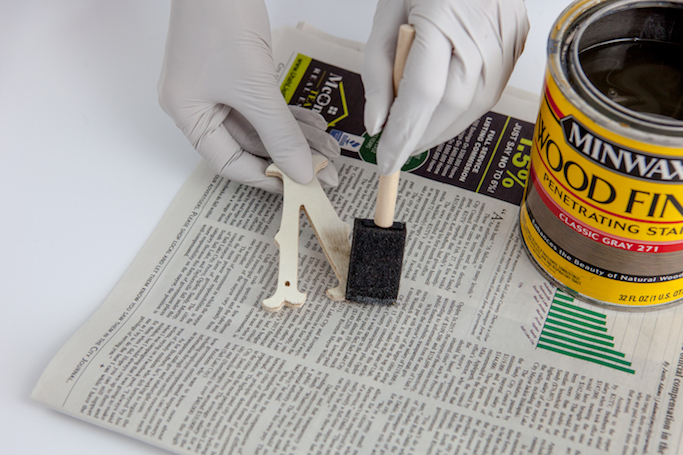 Once you’ve drilled the holes in each letter, using your foam brush or a cloth that you can throw away, apply your wood stain. 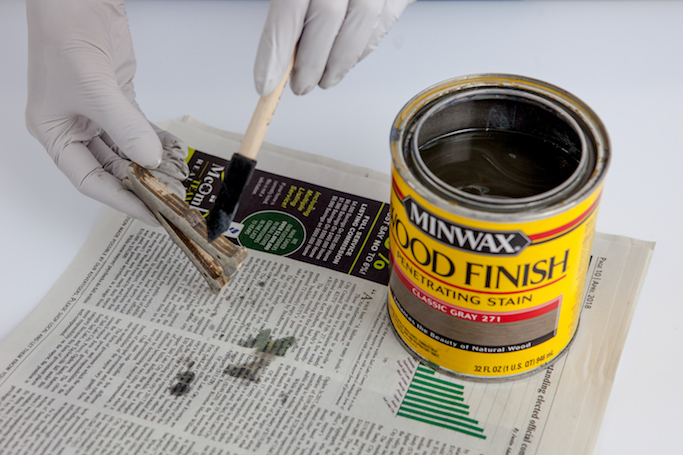 (You can use any color of wood stain or even just a clear gloss. I picked the color “Classic Gray”). Make sure to cover the front, back, top, bottom, and all sides of the letter with the stain. Allow the letter to dry overnight. 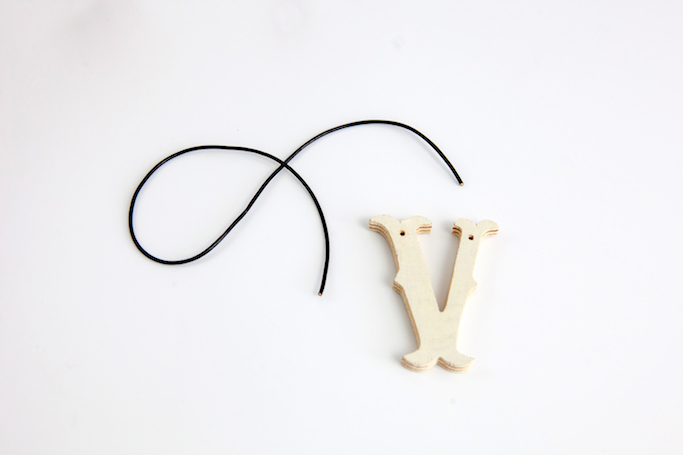 When the stained letters are dry, insert the leather chord through each hole and create a knot to secure the chord. Make sure that the knotted ends are on the backs of the letters, so that when hung, the knots won’t show. If your letter only has one hole in it (like the letter “T”), create a loop with the chord and secure with a knot. 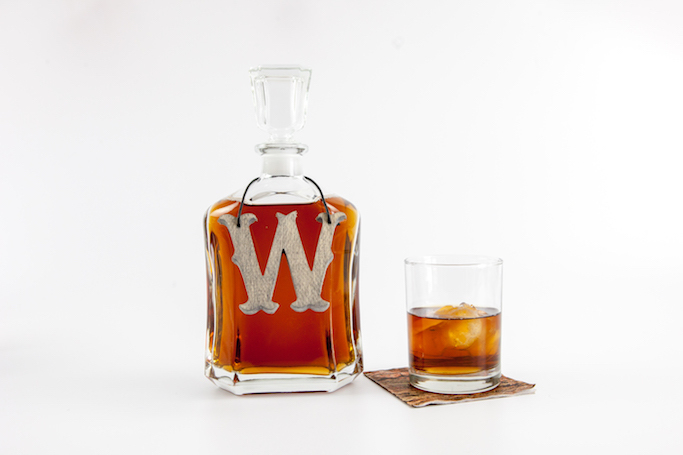 Fill your decanter bottles with liquor. 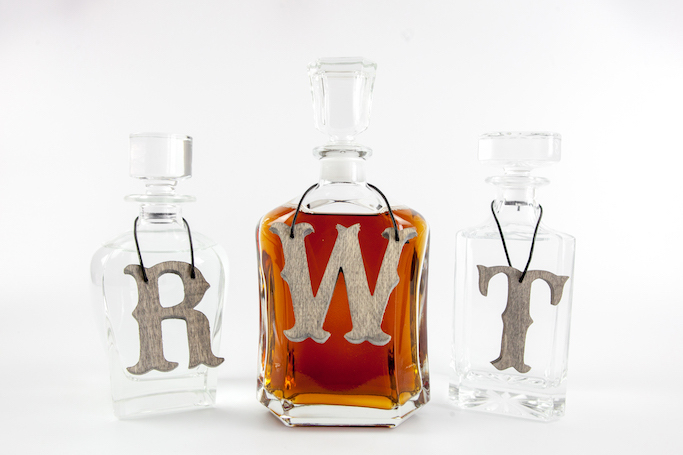 Hang the finished DIY decanter tags around the necks of each of your bottles and display on a bart cart or a liquor cabinet! 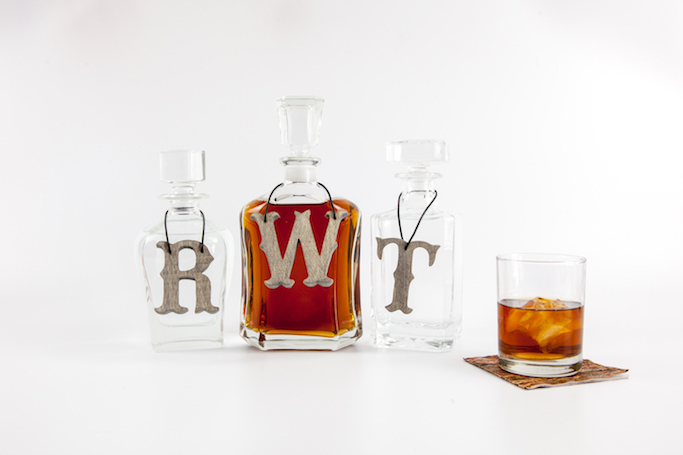 These DIY decanter tags would make a great gift for father’s day, a birthday, or even Christmas too. 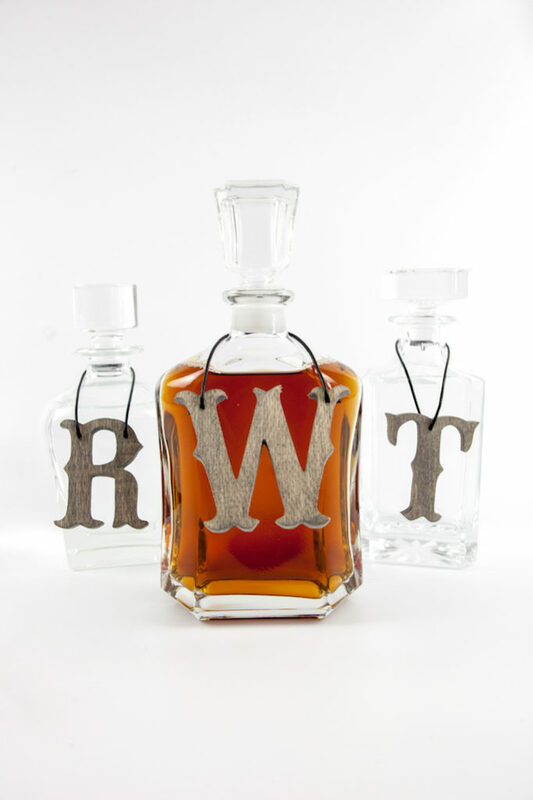 Fill up the decanters with liquor before gifting and you’ll have one happy recipient!